There have been 4 2 bedroom units sold in this building in the last 12 months. The last unit in this building sold on 3/22/2019. Click here to get the details of all closings in the last 12 months. The beautiful sunrise, sunny skies, white sandy beach and blue ocean water - This is what to expect when enjoying your very own oceanfont condo at unit 709 Camelot By The Sea. The experience and memories created at this condo will be yours to keep forever. You choose when you come/go and the length of stay is your decision. Considering starting and/or adding to your real estate investment portfolio? Unit 709 provides you with choices for personal use and rental income, if desired. Come tour this unit and place your offer before it's too late. Your choice of dining, shopping, craft stores, entertainment and beach life are literally within walking distance. 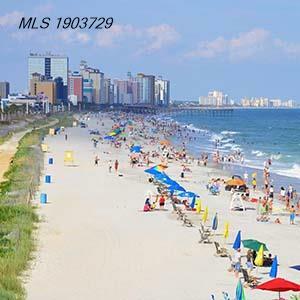 At any time of day or night, conveniently access popular taxi type services to explore the many Myrtle Beach area destination attractions. In addition, you have direct access to your secured parking garage as well as amenities including indoor and outdoor pools, lazy river, fitness room and oceanfront bar. This unit has received numerous upgrades, to name a few: carpet, bedding, mattresses, TVs, washer/dryer, A/C unit. Enjoy the unit photos and 3D virtual tour as they tell an accurate story of what to expect when buying unit 709. The next step is to come tour this property and experience it for yourself. Did we mention this oceanfront unit is perfect for you? Call agent to schedule your personalized tour.